Money and its exchange not only drives our economy, but is one of the most important aspects of our culture. Banks give people a place to store that money, and help to bolster the economy through well-planned investments. If you’re looking for a new career, why not consider becoming a bank teller? You’ll get to meet a wide variety of people, learn new skills, and likely hone some of your existing ones! And this entry-level position can, to the right dedicated person, be a foot in the door to higher paying and more prestigious positions in the bank further down the line. It’s not for everyone, but if you’ve got solid mathematical skills and love to talk to people, being a bank teller may be a good choice for you. Tellers are the bank employees who interface with most customers using the bank. Customer service is certainly a large part of this job, and applicants for teller positions will find that they are well served by having worked in cashiering, sales, or customer service in the past. Depending on the time of day and the location of your branch, things can get pretty hectic, and it is essential that bank tellers maintain a friendly and helpful attitude throughout even the longest rush. Bank tellers also provide customers with valuable information about their accounts and other potentially useful bank services that may be of interest to them. If the branch in question is small, tellers are also sometimes trusted to open new customer accounts and discuss loan options. At larger institutions, there are more specialized employees who typically handle these interactions. Those hoping to eventually become more specialized within the banking industry will find that starting out as a teller is a great way to get a foot in the door toward becoming a loan officer or other higher-ranking bank official. Tellers are also the most likely employees to detect and prevent fraudulent charges and transactions, making them often the unsung heroes of their places of employment. People trying to pass off counterfeit currency and checks, or perform acts of identity theft and other nefarious tricks of modern day con men are a danger to both the banks and their customers. Bank tellers typically work in the lobby of a branch bank, doing most of their work from their station on a teller line. The teller system usually includes a cash drawer, a receipt printer or validator, paperwork used in routine transactions, and proof work sorters. They interface directly with the customer, and function in this capacity as the friendly face of a bank’s local branch. Many bank employees enjoy the perks of a typically fairly calm and quiet work environment. The occasional customer outburst not withstanding, banks are peaceful places. The A/C is always on. The employees are consistently courteous and friendly, which you should be too if you want to work at a bank. The environment is overall usually pretty serene. How Can I Become a Bank Teller? If this sounds appealing to you, there is an easy path to follow towards your ultimate goal of becoming a teller, and the requirements for this job are surprisingly few. Provided you are a trustworthy person who can prove it via a background check, you have a head for numbers, a high school education or its equivalent degree, you are likely eligible to become a bank teller. However, this job is not for everyone. Consider not only whether or not you are eligible, but also whether or not you will enjoy performing all of the functions required of you. The exact education requirements will depend on the bank you are applying for a position with, but for the most part nothing beyond a high school diploma or its equivalent will be necessary. There are college courses, primarily those dealing with mathematics, that can be helpful to have on your resume, but most banks do not require any kind of additional degree. Most banks provide on-site training for new hires, so there’s no reason to worry if you haven’t yet accumulated any specific background in finances. This training typically lasts about a month. Over these four weeks a new teller can learn how to balance his or her drawer, how to verify signatures, how to use the specific computer programs in place at the bank, and how to advise customers about available services and products. Usually this training is provided by a more experienced teller. Applicants for bank teller positions at some banks will be asked to take a pre-employment aptitude test. Although not all banks require that applicants take them, anyone interested in handling large amounts of money for an occupation might want to brush up on their math skills anyhow. These tests are designed to prove an applicant’s basic math and verbal skills, and their attention to detail. The tests themselves are often provided and graded by private companies such as Criteria Pre-Employment Testing (http://www.criteriacorp.com/) and Job Test Prep (https://www.jobtestprep.com/. These sites also offer sample tests and provide potential applicants with an opportunity to practice and hone their skills before going in for the real thing. Along with a basic aptitude test, some banks as well as many other businesses will require applicants to take a personality test. This test measures behavioral traits and helps employers determine whether or not applicants might be a good fit for the job. Used in a wide variety of corporate and commercial environments, the creation of personality profiles via these tests is intended only to help predict success and performance. Background checks: Because you will be trusted with large amounts of money and investment earnings, most banks perform quite extensive background checks on any potential employees. If you’re not sure whether or not you can pass a background check, you might want to look into it before wasting your time on an application and interview. There is typically little leeway in this area. Dress for success: On the job, bank employees are expected to dress business casual. As a bank teller, you are effectively the face of the bank. You should always look presentable and give off the impression of trustworthiness and competence. This goes for the interview as well. You don’t need to show up in a three piece suit, but probably save the sneakers, t-shirts, and jeans for another day. Interview etiquette: Make sure to give the best possible first impression. You don’t usually have much time in an interview, so make the most of it. You will likely be asked about your motivations in seeking out this job, and your experience in other areas of customer service as well as banking products. Do some homework and learn the industry terms and common bank transactions. Try to brainstorm some responses to common interview questions. Can you explain adequately and confidently why you will be the best candidate for the job? If not, consider consulting a job coach before applying for the position. There is steep competition in the world of bank tellers, so make sure your resume is in great shape and you’re adequately prepared for your interview before you apply. There are certain personality traits and previous experiences that may give you a head start if you aim to become a bank teller. Math skills: Landing a job as a teller is about more than just being able to do basic arithmetic, but superior math skills are an absolute necessity for the job. You will be handling large amounts of money, and it is essential that it is all accounted for and counted correctly. If math was your favorite subject and kept you entertained for hours, this may be a good fit for you. If passing your tests posed a problem for you in high school, consider another career. Customer service skills: As has already been noted above, money is more than just the mainstay of the economy. It is also an important aspect of American daily life and how people self-identify. Because of this, it is very important to have excellent communication skills and customer service skills. Being friendly and confident is a must, and most people simply want to perform their transaction and go about their day. But be prepared to handle some stressed out, excited, or even angry customers from time to time. How you help customers to deal with any potential problems they might be having and explain the bank’s policies and procedures can determine whether or not your company will continue to get their business. Prior experience as a sales cashier or as a customer service representative will look good on your resume, and may help to give you some idea of what will be involved. Clear communication: You’ll need to explain the general workings of the bank from time to time, and help people to understand any financial services and promotions on offer at any given time by your bank. Being able to easily communicate about the customer’s needs and what you are doing will go a long way toward building positive relationships. Attention to detail: Being able to consistently pay strict attention to what you are doing at your job is an essential element of success to a bank teller. In addition to needing to be able to count quick and do basic math, you really need to know at any given time whether it was a $10 or a $100 that just went into your drawer. Having to resort to recounting frequently wastes your time and the customer’s, which just isn’t a good sign to someone who is trusting you with their hard earned cash. The alternative is not to chance making a serious error that could end with your drawer coming up short, or a customer losing part of his or her paycheck. Plain and simple, bank tellers need to be constantly attentive. Your wages as a bank teller will depend on your level of experience. As with any field, entry level employees can expect to earn less than their more experienced counterparts. As far as hourly wage and median yearly salary go though, bank tellers do fairly well for themselves. It can be a stressful job, and is one that consistently requires a large amount of integrity. The pay and opportunities provided for advancement can make it worth your while in the long run. What Kind of Hours Can You Expect? Most bank employees receive full time hours and benefits, but approximately one quarter of bank employees in 2014 worked only part time (BLS. http://www.bls.gov/ooh/Office-and-Administrative-Support/Tellers.htm). Most banks offer their full time employees benefits packages and other incentives, making this a lucrative and desirable full time job that can easily be turned into a long term career by the right person. The average annual wage for tellers was $26,410 in May of 2015 (http://www.bls.gov/ooh/Office-and-Administrative-Support/Tellers.htm#tab-5) , but you should expect to be started off at the lower end of the pay scale. Hourly pay typically averages between $10 and $12 an hour, although it can be as low as $8. This depends largely on the area of the country in which you are looking for work, and the company with whom you end up finding employment. Head tellers and lead tellers earn an average of $28,000 per year, and teller supervisors earn an average of $32,000. Accepting an entry level position to begin your career with a trusted bank can be a good financial move in the long run. This is particularly true of banks that offer their employees benefit packages, which luckily for you most do. 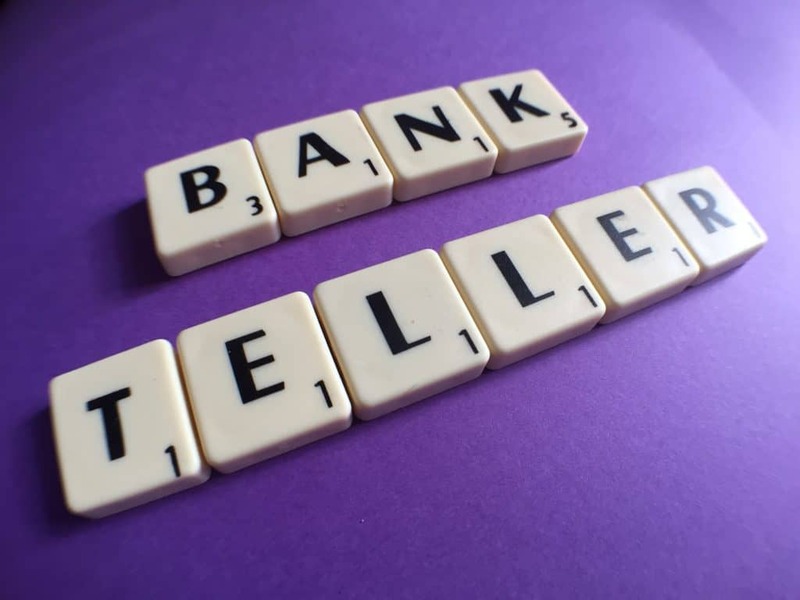 On top of the high potential for moving up the ranks, working as a bank teller can be a boon to your resume should you decide not to pursue a career in banking. It shows any potential future employees that you are an organized and trustworthy employee. If you can be trusted with customers’ savings, it says good things about your strength of character that future employers in the banking industry or outside of it will appreciate. The amount of money you can expect to make will, of course, vary based on where you live. This is the case in almost every field, as factors such as state taxes, general cost of living, and median wage in other industries all come into play. In general tellers in the North East can expect to earn more money even in entry level positions. Bank employees in the South East fare the worst in comparison to the rest of the country. Different banks also employ different pay scales for their employees, so both your entry level salary and what you can expect to earn as you move up the ranks will depend heavily on which company you work for. Employees of smaller local banks frequently enjoy better salaries and more benefits than their counterparts at larger national banks, so this is something to consider when putting in your application. However, accepting a base pay of even $10 an hour for an entry level position may be worth it in the long run as you move up the ranks and your salary increases. Glassdoor.com has collected information on the typical employers who are hiring bank tellers. Among them are the Bank of America Corp., which pays their tellers around $25,139; the Capital One Financial Corp., which pays 25,766; and the Chase Bank, which pays an average of $23,720. CitiBank also pays their tellers around $28,228. The PNC Financial Services Group, Inc. and Wells Fargo & Co. also pay their bank tellers around $18,096 to $22,791 to $24,228 per year, respectively.